DDB° Paris launches a dreamlike film for the return of Ubisoft’s iconic game. Released on 27th of October 2017 after several years of development, Assassin’s Creed Origins promises to be a true rebirth with a whole new fight system and a fascinating world, more open and unpredictable than ever before. For the first time, this new episode takes us back to the roots of the brotherhood in Egypt, in the first century B.C. The country is threatened by civil war and the expansion of Roman Empire. The end of a 3000-year-old civilization is at stake. Those troubled times will give birth to a hero, Bayek. DDB° Paris had already started teasing the fans with Mystery Enemies, a scary series of short films. For its first pre-launch film, the agency chose to set the stage before the exhilarating fights, wars and conspiracies of the game. 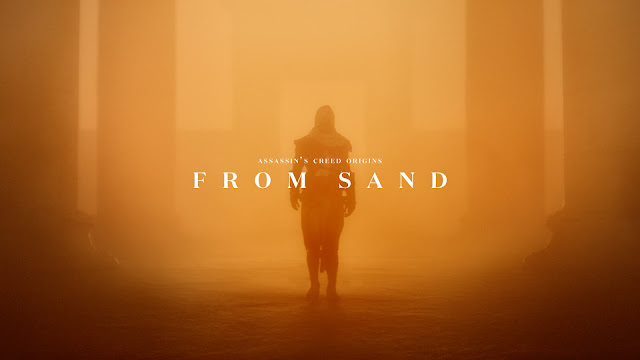 It’s a contemplative immersion into the world of Assassin’s Creed Origins, bathed in crepuscular light and carried by Max Richter’s music, especially re-orchestrated for the occasion. A tribute to ancient Egypt’s beauty as much as a metaphor of its frailty, the film shows the symbols and achievements of a whole civilization being swept away by the wind. The end of this era will mark the beginning of the assassins’ history. DDB° Paris chose to explore their philosophy in a second film to be released mid-October.